We discussed the importance of managing our customer satisfaction and expectations by offering quality support in the previous post. Since the term “best” doesn’t always fit universally given different organization structures, today we take a look at some of the essential features you should be looking for in live chat support tools. Ease of Use: A majority of business owners are not software engineers, so the support tool has to be easy to set up and get started. It should not just be rich in handy features but all the features should also be easily accessible under appropriate categories. Branding and Customization: The latest live chat tools go a step beyond allowing you to place your logo within the tool. You want one which allows you to customize the look and feel of the window that your customer will see to your liking. Proactive Invitation: Reaching out to customers before they seek your help can help you win a customer’s confidence. Tiny, non-intrusive pop ups or a chat window with preset greeting and simple message can do the job by letting the users know that instant help is around if they need it. Administrator tools: There are various options you should be able to control with any customer facing tool and the options available within administrator toolset can improve overall efficiency of your operators. Tracking and Reporting: Recognizing existing customers and displaying previous chat history can go a long way in separating your business from the rookies. Tools that provide powerful data can also help your business understand a customer’s patterns and deliver better service each time. Extensions: This is an important consideration while purchasing a live chat tool if you like to keep an eye on numbers, make graphs, etc. Some powerful live chat support tools offer the ability to add extensions to enhance features, abilities and seamlessly integrate into tools like, Google Analytics and Salesforce. On-chat tools: Chat tools that can pull up information on a customer make it easy for operators to assist the customer with their query. Since we can not expect an operator to remember the details of all the customers, its best to arm them with all the tools they need within the tool they are using. Pricing: At this point you’re probably wondering, “what am I going to have to pay for all this”? 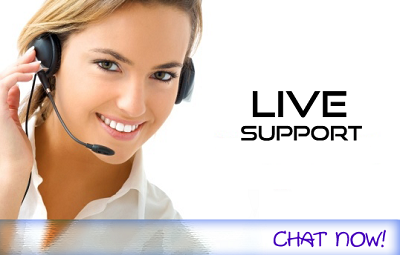 Specialized software like live chat support tools can be expensive. To make it easier for businesses of all sizes, live chat companies have separate tiers of available features and are priced accordingly. After determining your requirements and budget, it should be easy to find a set of features you need within the price you’re willing to pay. If you still need help, wait for our next post. We’ll list the top 5 most popular live chat support tools for small businesses.